Federal law enforcement officers from agencies such as the FBI, DEA and ATF rarely patrol our streets, and they have far less contact with the public than state and local officers. 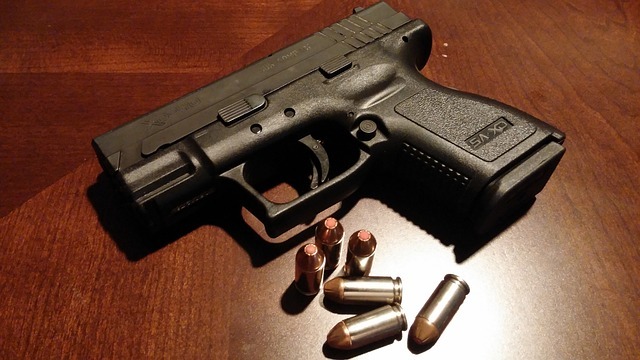 As a result, common firearms crimes such as possession of a handgun are typically handled in state court, as local police officers are usually the ones making the arrests on these cases. A typical federal firearms case could involve the ATF busting an illegal gun trafficking ring or the DEA making a drug bust and seizing firearms in the process. Each of these examples usually involves a formal investigation possibly including confidential informants, wiretaps and search warrants where the feds continue to build a case as the crime is ongoing. In contrast a state firearms case typically starts as a traffic stop or a call to investigate a completed crime. This type of case rarely ends up in U.S. court, but federal prosecutors in Baltimore are trying to get the word out that no gun case is too trivial for their caseload. The U.S. Attorney’s Office for the District of Maryland recently announced that five men have been found guilty of federal firearms crimes that originated in state court. Four were Baltimore City cases and one was an Anne Arundel County case. The men were originally facing charges in the respective state circuit courts, but these cases were all closed after the assistant state’s attorneys announced them as nolle prosequi and forwarded the files over to their federal counterparts. The charges the men are facing vary, as two are charged with illegal gun possession, two are charged in relation to drug trafficking and one in relation to an assault. But the one constant is that all five of the defendants were convicted of a felony prior to being arrested on the current charges. Federal prosecutors in Baltimore are taking affirmative measures to let state prosecutors know they will gladly take any case that involves possession of a firearm by a convicted felon. With resources that dwarf its state court neighbors, the Baltimore federal court has a much higher conviction rate for gun crimes, and the criminal code may provide higher penalties in some cases. Currently a defendant in U.S. court for illegal possession of a handgun faces up to 10 years in prison. A defendant who carries a firearm during the commission of a crime of violence or a drug trafficking crime faces an additional 5-year mandatory sentence. If the gun is brandished the mandatory sentence increases to 7 years, and if it is fired it increases yet again to 10 years. There are also mandatory penalties for crimes involving assault weapons and short-barreled shotguns and rifles. There is a broad class of individuals that are prohibited from possessing a firearm under U.S. law; if you think only convicted felons are prohibited then think again. In reality any person convicted of a crime that carries a maximum penalty of more than a year, anyone who is an unlawful user of a controlled substance and anyone convicted of a misdemeanor crime of domestic violence could face federal firearms charges for possessing a gun. Each of the five men currently in custody and awaiting sentencing has learned the hard way that the feds are not messing around when it comes to gun possession in Baltimore. However it remains to be seen whether these efforts will serve as a deterrent to future offenders. The Blog will continue to follow these five cases as well as other state cases that are picked up by the feds. We may post a follow up article in the future so stay tuned. Benjamin Herbst is a state and federal gun lawyer that handles illegal possession by a convicted felon and transportation cases in all Maryland courts. Contact Benjamin for a free consultation about your case anytime at 410-207-2598. Five Baltimore Men Plead Guilty Under Federal Gun Statutes, www.justice.gov.